You’re an avid hiker and you already know that the W-trek is Chile’s #1 must-do trail. Time to discover what other sensational hiking trails the country has to offer. 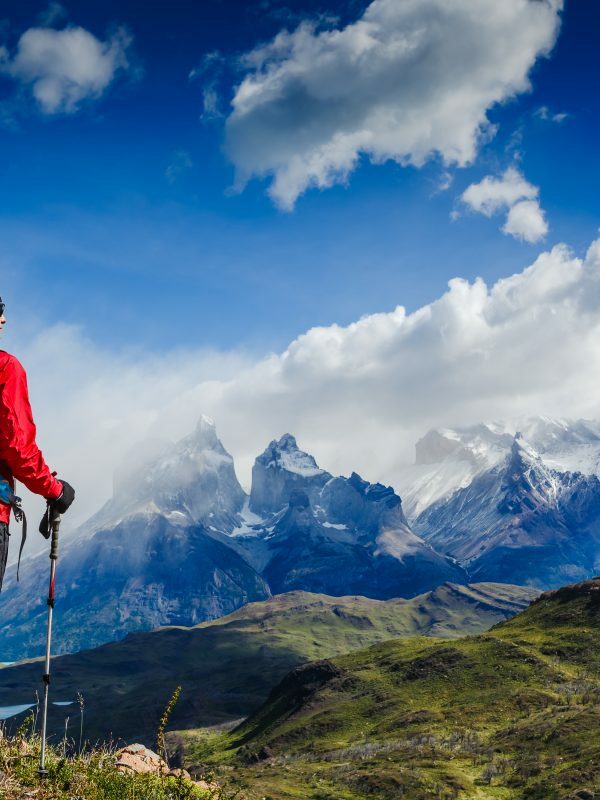 Chile’s recent announcement of the opening of a brand-new hiking trail, which effectively links three of its most impressive routes in Patagonia to form one colossal, 2800km odyssey, will certainly help cement the country’s position among the world’s top trekking destinations. 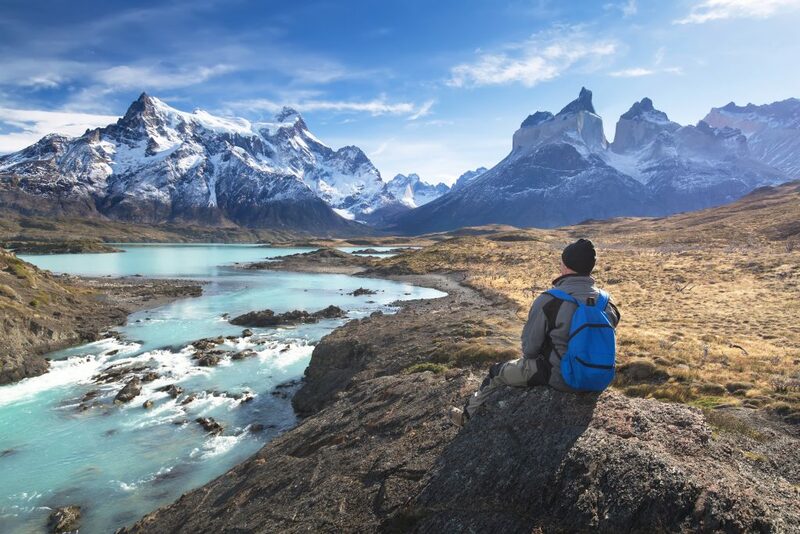 Yet what makes Chile such a fabulous hiker’s paradise isn’t just its trails through Patagonia – as spectacular as hiking the W-trek in Torres del Paine may be. Exceptional routes abound throughout the country, be it in in the far north – across the spellbinding Atacama Desert – or hidden among the luscious wine-producing valleys close to the capital, Santiago. When visiting Chile, you need not go to the ends of the world to enjoy an adventure along a stupendous hiking trail. Although considering the end is Patagonia…you may just want to. Here are just some of the most sensational hiking trails in Chile – that aren’t the W-trek! It’s hard to hike past this latest offering from Chile, a mind-boggling trail which was originally the brainchild of famed wilderness activist and Patagonia-lover, Doug Tompkins. The Tompkins Foundation donated over 1 million acres of pristine wilderness to the Chilean government in February 2018 (read more about it here) helping the government create what is touted as the largest national-park-complex in the world, joining 17 protected reserves to create the new ‘Route of Parks’. 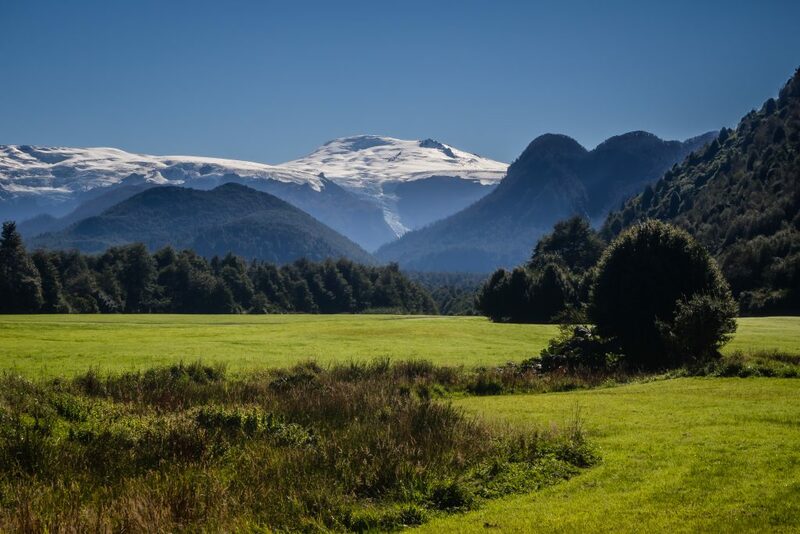 The creation of the Patagonian Route of Parks is a natural development of this incredible feat, connecting Puerto Montt in the north to Cape Horn in the South, on a trail that stretches for 2,800km and passes through some of the most unspoiled wilderness on earth. Expect snow-capped peaks, sapphire lakes, raging rivers and expanses of verdant green home to an astonishing concentration of unique Patagonian wildlife. This is set to become one of the world’s best long-distance trails and soon-to-be bucket list dream of so many trekkers, joining the ranks of such illustrious challenges as the US’ Appalachian National Scenic Trail, Canada’s Great Trail and New Zealand’s Te Araroa Trail. Luckily, and as will all the greatest trails, you’re certainly not bound to complete the whole lot. The Patagonian Route of Parks is a combination of three trails (The Southern Way, the Patagonia Channels Trail and the End of the World Route) so you can access the park and hike as much of it (or as little) as you like. If you’re into hiking and you’re considering visiting Chile then we probably don’t even need to mention the W-trek of Torres del Paine. To this end, we’ll point you right next door, to the magnificent and lesser-trodden trails of the Sierra Baguales range. This Patagonian treasure is way off the tourist trail, so much so that there isn’t even a trail to speak of, in fact. 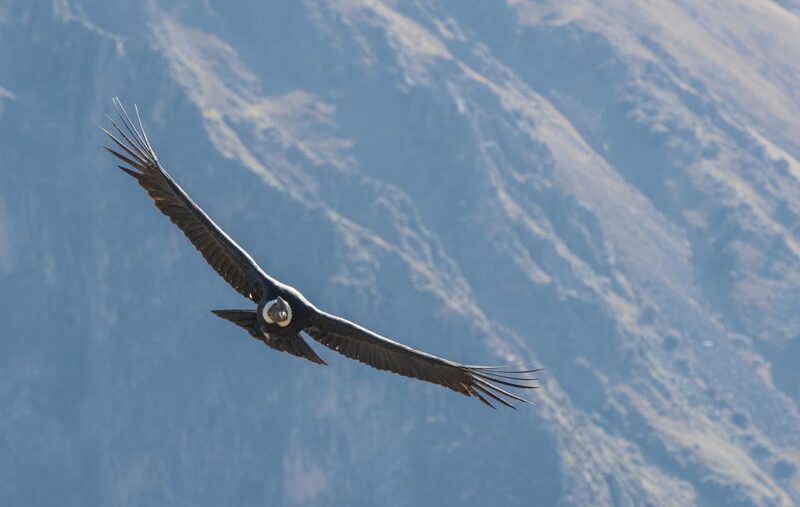 The paths are accessible only through a private estate and grant access to some of the least visited mountains in the region, whose valleys are home to wild guanacos, foxes, armadillos and flocks of Andean Condors. Day-long hikes can actually only last a few hours but considering you’ll be stopped dead in your tracks by wildlife or breath-taking scenery, do plan to spend a whole day here. Transfers can be organised from Puerto Natales (2hr drive) but if you’re looking for a more immersive experience we can also organise an overnight stay in an estancia nearby. For a stunning Patagonian hiking experience minus the crowds of popular Torres, Sierra Baguales is unbeatable. Most visitors to Chile’s resplendent Atacama Desert tend to arrive after a long drive-day and simply climb one sand dune to sit and watch the sunset. Whilst the spectacle is nothing to sneeze over (yep, it’s really that awe-inspiring) there is so much more to the Atacama than sunset-viewing and stargazing. For avid hikers, this ethereal landscape is out of this world and spending a few days stretching your legs on the salt-encrusted earth is just magical. Cross the Salt Mountain Range and feel the ground crumble under your feet as you take on a moderately easy 5km hike that meanders past astonishing rock formations, with stunning scenery the entire way. The Cornices Trail is also another top contender and includes a trail over two ginormous sand dunes. Bag two condors with one stone and plan your guided hike to start off in the early afternoon so you can end it right as nature intended – watching the sun tuck in for the night under the horizon. The ideal way to explore a spectacular corner of the Atacama not many people even know exist, the 9km-long Mirador Trail starts from a tiny fishing village called Caleta on the Pacific coast and meanders along a seaside trail which gets steeper as it goes along, eventually leading you to a magnificent mirador, or viewpoint. Being lesser-visited, the park boasts very little infrastructure except for a campground so make sure to have your guide and transport arranged. The park boasts several hiking trails, most of which are relatively easy. 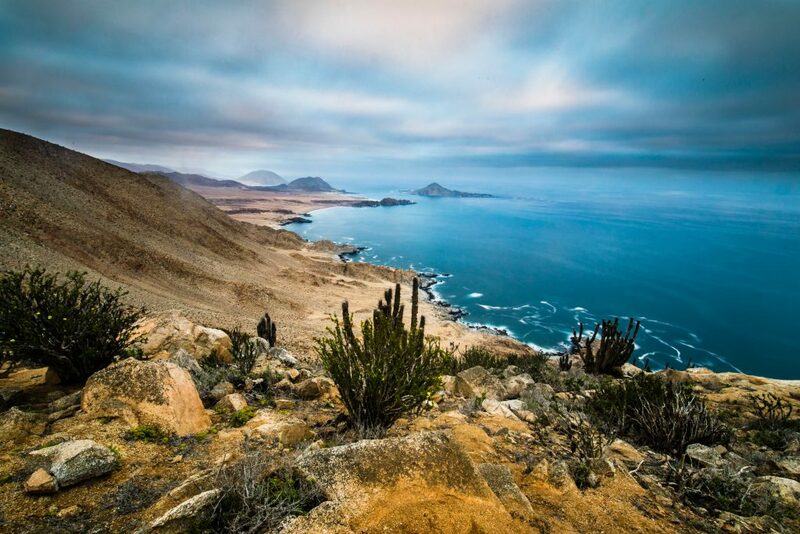 We love this park because its where the Atacama meets the Pacific, offering a colour contrast that is mesmerizing as well as unique wildlife encounters with Humboldt penguins and sea lions. Now here’s a glacier trek that isn’t in Patagonia! It is, in actual fact, superbly close to the capital, Santiago. Arguably one of the best capital cities to visit for hiking lovers, Santiago is unique in that it sits in a valley framed by sky-reaching mountains, which means that, on the other side, lie a wealth of valleys which are ideal for hiking (and for wine tasting, FYI). There are numerous hiking destinations nearby but one of the most rewarding would have to be El Morado, a protected reserve that covers over 3000 acres of mountainous wilderness. The reserve is a nature-lover’s paradise and much beloved local hub for hikers, rock-climbers, horseback riders and bird enthusiasts. The most beautiful hike takes you to the base of the glacier over a trail that stretches for 8km through outstanding landscapes boasting every colour under the sun. The hike is not technical nor difficult but there’s a considerable climb at an altitude of between 2000m and 3100m. As long as you’re reasonably fit, you won’t have a problem with this trail. 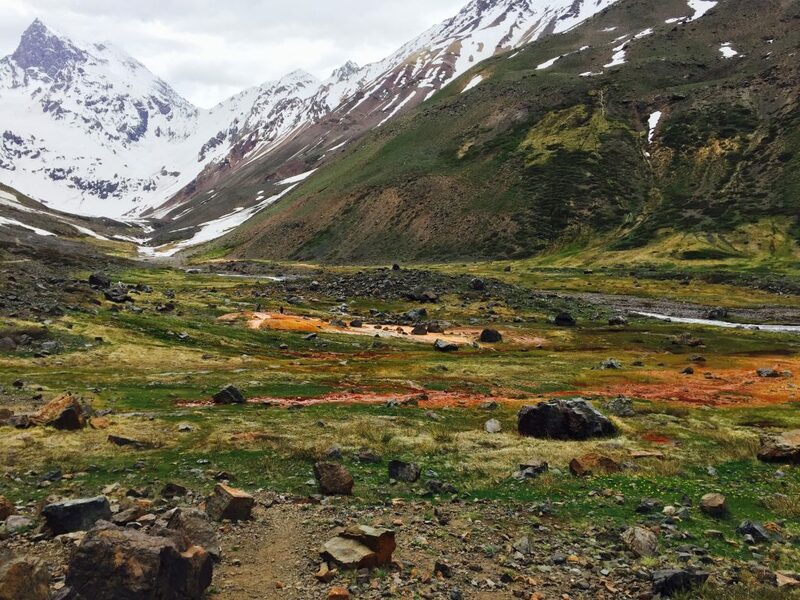 The El Morado Glacier trek is a wonderful alternative if you don’t have enough time to visit Patagonia but still want to get a taste of what that kind of wilderness is like. Trekking in Patagonia may well be Chile’s crowning glory but there are many more options for day or multi-day hikes if you just can’t make it that far south. 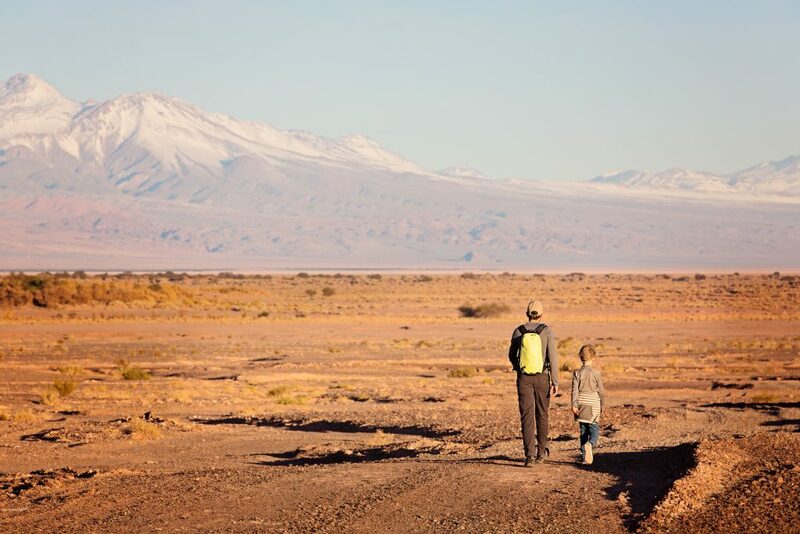 Around Santiago alone there are numerous options in truly stunning valleys and when it comes to the Atacama, well, you could hike there non-stop for days if you wish, as long as you have food and accommodation sorted for you. Want to know more about adding some fantastic hikes on your next tour of Chile? You know the drill. Check out Chimu Adventure’s array of Chile Tour itineraries and ask us to create a personalised and totally unique itinerary…just for you.